These are held occasionally and are an informal method of assessing whether your dog has the characteristics developed by the early breed masters in Germany. Each dog will be given an area where it can hunt. Within this area there will be some concealed caged game for the dog to find. A good point is desirable, but as some dogs react in different ways to caged game, a good acknowledgement is acceptable. The dog is then drawn away from the area of the point and allowed to hunt on. Close to the end of the hunting area a shot will be fired to note the dog’s reaction. This is to assess whether the dog is gun-shy. The handler will be asked to stop and if possible sit the dog, or alternatively call the dog to heel. A retrieve will be thrown and the dog will be asked to fetch the retrieve, both these give an indication of the dog’s biddability. On another piece of ground a scent trail will be laid with game or blood scent to test the nose and tracking ability. Near the end of the trail an item of game is left for the dog to find. 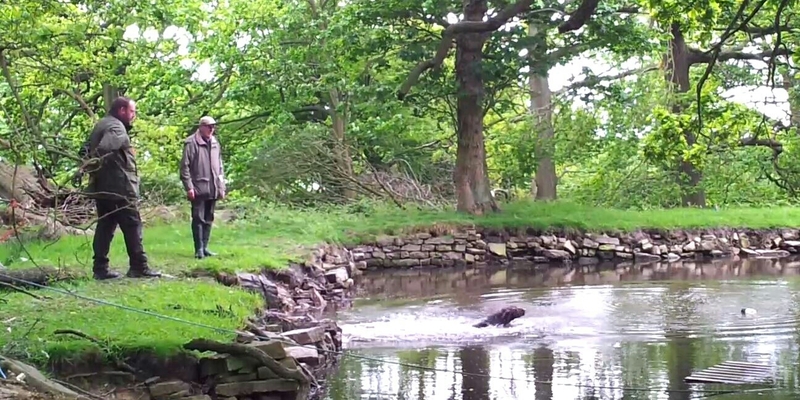 The water test is to assess the dog’s willingness to swim. A simple marked retrieve from deep water is given. Throughout the natural aptitude tests dogs need to be under reasonable control. 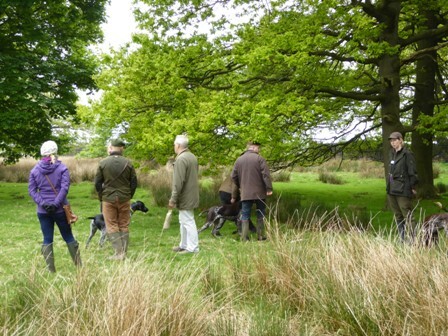 Assessments are always carried out by experienced HPR people who judge at Field Trials, however although places are awarded and certificates given these events are to be enjoyed with your dog. 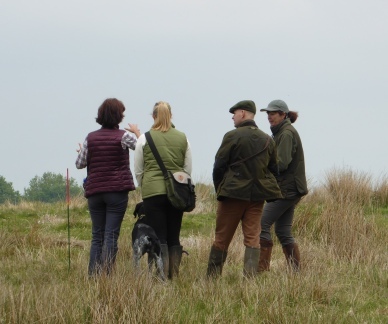 They are also open to owners with any HPR breed, but numbers usually have to be restricted due to time constraints. Further information will be available when the tests are next run.